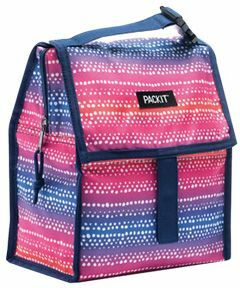 This soft-sided lunch bag unzips to become a placemat, making it perfect for field trips, picnics, and dirty school-cafeteria tables. 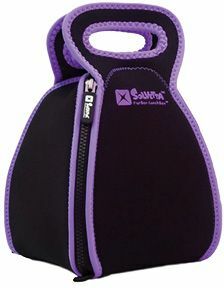 It’s made from machine-washable neoprene and comes in six different colors. Filled with a freezable gel, the Packit eliminates the need for ice packs, but it still folds into a compact bundle when empty. It can keep food and drinks cool for hours, and it comes in 20 colorful patterns. Great for children or adults, L.L. 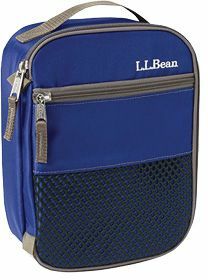 Bean’s reliable rectangle is insulated, capacious, and easy to clean. It has an interior pocket for a freezer pack and is available in eight solid colors and various fun patterns, including a kid-friendly dinosaur motif. 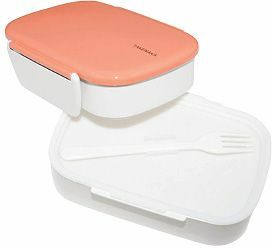 Inspired by Japanese bento boxes, this dishwasher-safe lunch box makes balanced meals fun. The largest compartment is perfect for a half-sandwich or a salad. Fill the others with cut fruit, carrot sticks, even yogurt. You’ll be the envy of the office when you pull out this Japanese-made bento box. 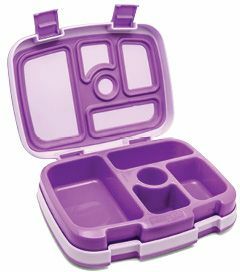 It has a nifty hiding spot for a fork, and its leak-proof microwavable sections lock together with sturdy side clasps. Available in a rainbow of colors.